You probably associate nootropics with students staying up all night studying for exams or business people trying to increase their productivity after long haul flights and late meetings. Phenylpiracetam, however, has gained notoriety because of sports. In 2006, Russian Olympic biathlete Olga Pyleleva was stripped of a silver medal for taking a stimulant known as Carphedon. In 2007, Russian cyclist Anton Reshetnikov was suspended from the International Cycling Union for Carphedon use. Carphedon is another name for Phenylpiracetam, or [N-carbamoylmethyl-4-aryl-2-pyrrolidone (2-(2-oxo-4-phenyl-pyrrolidin-1-yl) acetamide, a Piracetam derivative. It differs from Piracetam by the addition of a phenyl group. The phenyl group enables Phenylpiracetam to cross the blood brain barrier much more easily than Piracetam does. Phenylpiracetam is more bioavailable and has a longer half-life than Piracetam. Because of these qualities, it’s estimated to be between 20 and 60 times stronger than Piracetam. Phenylpiracetam was developed in Russia in the early 1980s. It was used to increase cosmonaut’s productivity on spaceships . Today, it’s sold in Russia as the prescription drug Nootropil. Phenylpiracetam enhances both cognition and mood. It acts as a mild stimulant and, uniquely, increases physical endurance and resistance to cold. Consequently, it’s used to improve physical as well as mental performance. Because of this, it’s been placed on banned substances lists by athletic organisations. Bodybuilders sometimes take it before working out. 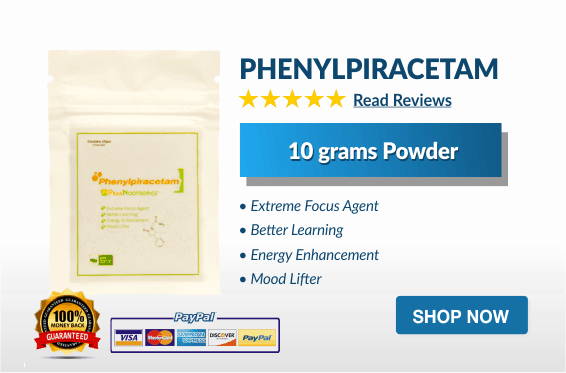 As a cognitive enhancer, Phenylpiracetam is similar to other racetams, improving memory, focus and concentration. As a mood enhancer, it reduces depression and anxiety, as Aniracetam does. Studies in mice show that Phenylpiracetam enhances memory function and acts as an antidepressant. It has neuroprotective effect, stronger than that of Piracetam. When given to mice with cerebral ischemia, it increased blood flow to the brain, enabling the retention of cognitive functions and increasing survival rate. In a study of 99 patients with encephalopathy, Phenylpiracetam improved memory, attention and motor coordination, decreased limb and facial muscle weakness and reduced anxiety and depression. Patients became more active. Phenylpiracetam reduces seizures in mice and, when combined with antiepileptic drugs, decreases seizure activity in epileptic patients. 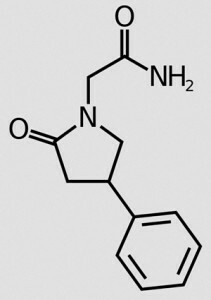 As a stimulant, it’s said to resemble Adderall. However, Phenylpiracetam does not have serious side effects. Phenylpiracetam appears to affect acetylcholine, glutamate, GABA, dopamine and serotonin receptors. Acetylcholine is important for learning and memory. Glutamate buildup is associated with neurodegenerative disorders in older people; a decrease in the glutamate/GABA ratio could help prevent diseases such as Alzheimer’s. Dopamine and serotonin affect mood. This could explain Phenylpiracetam’s effectiveness as a mood enhancer. Because of its strength, it’s recommended that you start with no more than 100 milligrams of Phenylpiracetam a day. No more than 300 milligrams should be necessary. You can divide this into early morning and early afternoon doses. Don’t take Phenylpiracetam later in the day, as its stimulant effect can cause insomnia. 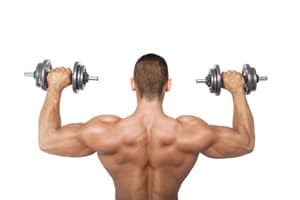 You can develop a tolerance to Pramiracetam, so consider taking it only on days when you need to be extra focused, or trying a one week on, one week off schedule. If you wish, take another nootropic on your off days. Side effects of Phenylpiracetam are similar to those of other racetams and include headache and stomach upset. You can reduce headaches by stacking Phenylpiracetam with choline. 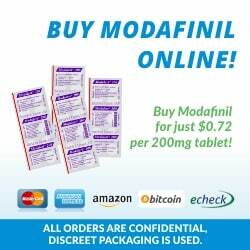 Phenylpiracetam is legal and Australia and can be purchased without a prescription. It’s available in pill form or as a powder. Hello , can i use phenylpiracetam everyday. ?